We are super pumped to start our season with this two awesome people. Meet our President-Roxanne Brown and Vice President-Jordan Forseille. It’s going to be a blast. Letter from a rider, way to go Trailblazers!! 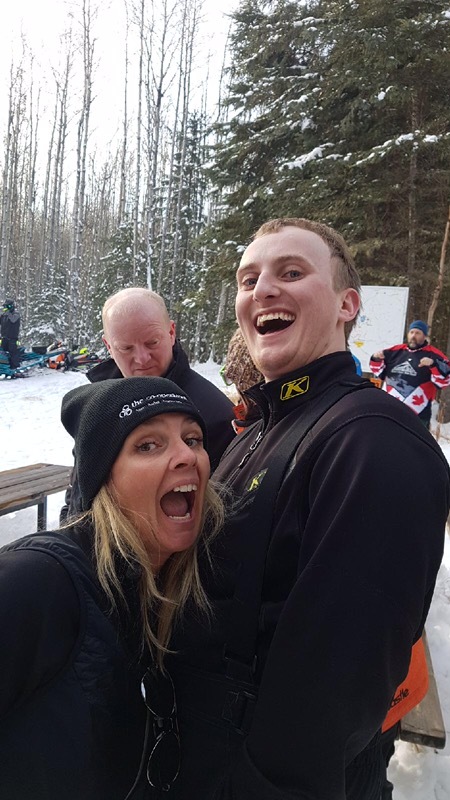 Here is a letter from a rider a few weeks ago: I must tell you our experiences at Whitecourt this year were absolutely superb. 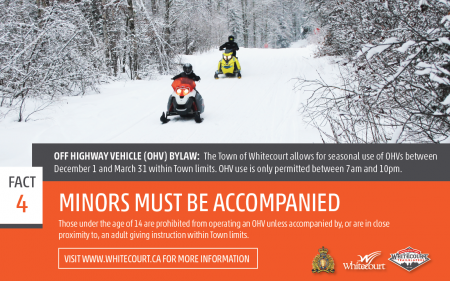 Up until last year I had not had the opportunity to go to Whitecourt since the late 90s. 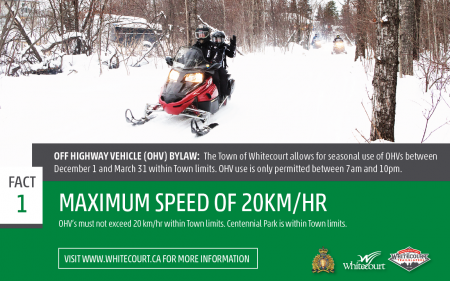 Fortunately I was able to convince a friend of mine who was avid sledder to accompany me last year for our trip to Whitecourt in March. He and I and others that we met at Whitecourt were so enthused with the trail system that we vowed to return in 2019. 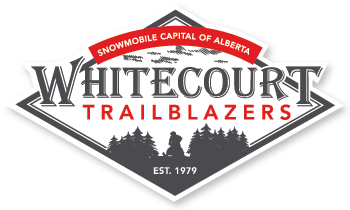 Thus this year we travelled to Whitecourt three times, once in January once in February and our last trip a couple of weeks ago in March. We stayed at the Quality Inn for the convenience of being able to sled right out of the parking lot onto the McCloud River and pick up either the North or South trails from there. We pretty much did the gamut of all of the trails during our three visits this year. We found the South trails to be our preferred Trails because of the diversity in them more Hills etcetera. The only thing we were unable to solve this year is whether there is a river crossing connecting the manweiler trail from the south to the north. But we have vowed to get a handle on that next year when we return. I have introduced Whitecourt to several of my friends over the past year and they all have vowed to come again next year. I can’t say enough about the quality of the grooming that we experienced. It was totally excellent. I certainly expect that next year we’ll have even more friends to accompany us on our trips to Whitecourt. Although the Quality Inn is certainly not a five star hotel we found that we were treated royally when we came. 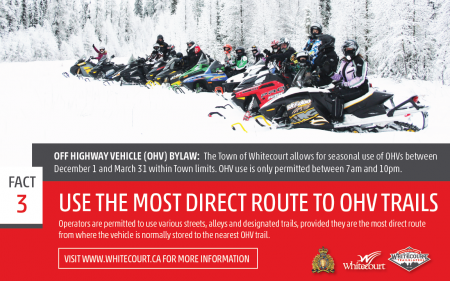 In conclusion I would suggest that Whitecourt is one of the best snowmobiling destinations anywhere in western Canada and I look forward to many more trips in the future. Please share stories and pictures with us. It helps with future funding opportunities locally. We have a few positions open if you are interested, please contact us. 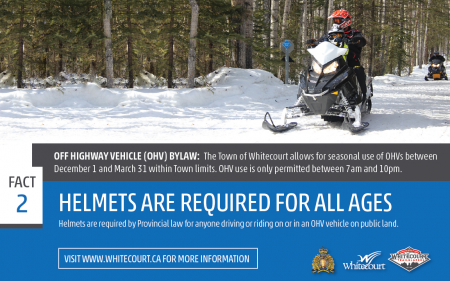 Bylaw 1138 – Reminders to everyone riding from town. It’s a privilege, let’s do our best to maintain the rules and respect for our residents.